The 71-year-old, Texas-born, American singer-songwriter, producer, and drummer, Don Henley, is best known as the founding member of the Eagles. Don Henley has gained huge popularity being associated with Eagles and also has made a good amount of money. Don was ranked as the fourth wealthiest drummer in the world in 2012. 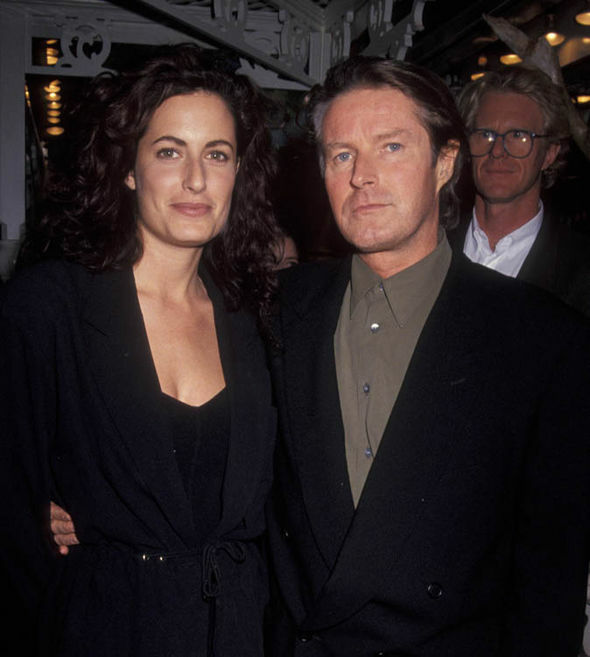 Alongside, a huge economic success, Don Henley is also blessed with successful married life too. He is married to his wife Sharon Summerall since 1995. Though, he is not free from past affairs. Let's know more about Don's married life with Sharon and also his affairs. Don Henley was already established as a band member of band Eagles before forming the Eagles band in Los Angeles in 1971 along with Glen Frey, Bernie Leadon, and Randy Meisner. Talking about his love affair, he first met Sharon in 1994 and since then the couple got together. After meeting Sharon Summerall in 1994, Don dated her for about five months and got engaged, but they took their time to get married. They remained engaged for about 11 months, and they finally got married on May 20, 1995. Married for about over 23 years, the couple is still having a very good time with each other. There is a strong bond between the couple as we have never heard any news or rumors of their divorce or mutual misunderstandings. They have three children together, two girls; Julia and Annabel Henley, and a boy Will Henley. Don's wife Sharon has been diagnosed with multiple sclerosis. Multiple sclerosis is a type of disease in which the insulating covers of nerve cell in the brain and spinal cord are damaged. Though Sharon was diagnosed with the disease, their relationship has remained unchanged. We wish them best for further. Don Henley was linked with Loree Rodkin in 1974. The couple dated for few months and then broke up. The break- up of their relationship became the inspiration for the song Wasted Time. Don Henley was in a long-term relationship with Maren Jensen. Maren Jensen is an American actress who is famous as Battlestar Galactica actress. Don Henley dated Maren Jensen for about four years starting from 1982 to 1986. Don and Maren were also engaged while they were in relation, but later they called off their engagement due to reasons undisclosed by the couple. Besides these relations, Don is rumored to have hooked up with Patty Smyth, Donna Rice, Connie Hamzy, and Lois Chiles. Even though Don was linked with various women, he eventually found the love of his life in the form of wife Sharon and is now very much committed to the relation. True love finds its way, no matter what!